This is the old fashioned bulb for your battery operated 3D viewers. We have a regular version and a bright version. These are not as bright as the halogen or LED bulbs. They have a slightly yellow incandescent tinge that many find pleasing. They have less of a lifetime than the halogen or LED viewer. We now offer a special halogen bulb which fits in the Elvira light attachment. 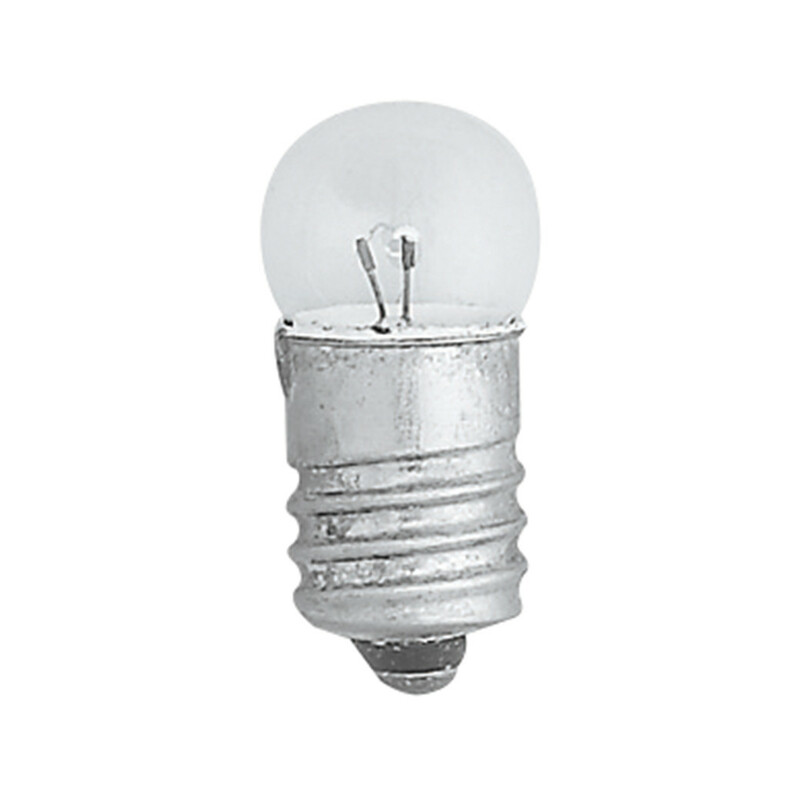 This bulb puts out a great amount of balanced white light, perfect for slide viewing. This will hold up your viewing to even in the brightest room. For do-it-yourself Viewer builders we now offer Loupes!!! Click here! These are 44mm F.L. 20mm diameter achromatic lenses (Wollensak or equivalent) which correct for spherical and chromatic aberrations. They come in metal mounts which can be used in home made stereo slide viewers for interocular adjustments. The mounts can be easily removed to allow the lenses to be used as replacements for any viewer which uses 20mm diameter lenses. We also offer instructions on how to replace the lenses on your Red Button or other viewers. Here we have instructions for replacing the bad lenses that come with the Kodaslide I viewer with these high quality lenses. These are plastic lenses paired for placing in homemade cardboard (or otherwise) viewers for viewing stereo cards or for the 2.5" FL cards. We offer three varieties depending on focal length. The mounts shown in SKU#501 without lenses. These can hold lenses from 19.5 to 20.5mm in diameter. They include a hole to put a screw into to help with interocular adjustment. These lenses are good lens for making a home made Holmes Stereo scope for viewing stereocards and also act as a good replacement for lenses in the stereoscopes we offer. These include the stereoscope kit and the pedestal stereoscope. These lenses are prismatic (wedge-like) which is crucial for viewing Holmes style stereocards. They are 1.5" square. These are top quality glass lens that can be used for replacing the plastic lenses in the stereoscopes we offer or in replacing lenses in vintage stereoscopes. They can also be used by craftsman in making your own stereoscope. 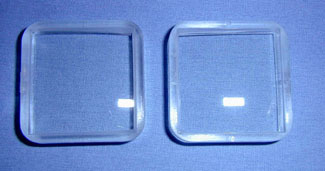 They are 1 1/4" square (see image) and made of optical grade glass. Add them to your stereoscope for nice clear viewing. We also offer books on viewer repair.